At RHINO PUMPS we know that when you are looking for replacement parts, time is critical. We strive every day to respond to your needs as fast as possible. Give us a call today and see how we can help get your pump up and running again. RHINO PUMPS can replace ANY pump mechanical seal, in fact in most common pump types we only need minimal pump information. 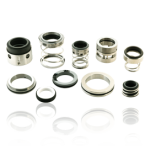 We carry Flygt, Taco, Aurora, Paco, Bell and Gossett, Ebara, ANSI pumps, Whether it is a component seal, cartridge seal, double seal, or a split seal we can get the right option for you. We can supply the replacement parts for nearly any type or brand of pump, also with our shop capabilities we can build many common pump parts reducing time and passing the savings on to you. If you are in need of pump accessories such as pressure tanks, pressure switches, floats, check valves, etc. we have many parts in stock and next day availability on even less common parts. 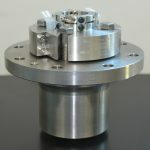 Need well pump parts? Whether for a vertical turbine or submersible pump we have parts for whatever type or brand of pump you are working on. RHINO PUMPS sells everything from simple controllers to large industrial VFDs, we can build custom control panels for your application as well. Rhino Pumps stocks most vertical turbine pump parts, we have shafting, bearing retainers, stuffing boxes, head nuts, and keys in stock today.